Hello! Welcome to my e-portfolio! 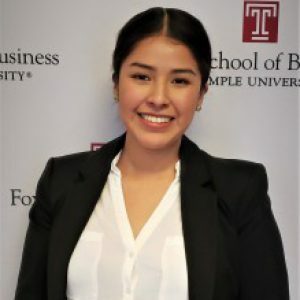 My name is Natalie Rojas and I am currently a junior majoring in MIS at Temple University. I am originally from East Stroudsburg, PA. I recently moved to the Philadelphia area this past August to transfer into the Fox School of Business at Temple. I attended Northampton Community College prior to the Fox School for two years, and along the way, I found my passion towards business. My first MIS class at Temple showed me how important the bridge between technology, a business, and the people, really is. I think it is fascinating how everything today revolves around technology. The rate at which technology will excel in just a couple of years in destructive and astounding. I want to be a part of that. I would love to help companies with their business processes and even create apps that are very accessible to their consumers.